An image sensor recognizes and gives any related data with respect to a picture. It is most regularly utilized in advanced cameras and imaging gadgets to change the light that falls on their particular focal points into a computerized picture. The image sensor market is sectioned based on its technology that incorporates charged coupled device (CCD), scientific complementary metal oxide semiconductor (sCMOS), complementary metal oxide semiconductor (CMOS) and others. The image sensors help in enhancing the camera technologies because of which it is highly preferred. 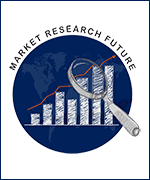 The market is anticipated to grow at a CAGR of 10.72% during the forecast period (2017-2027). The driving factor of the image sensors market incorporates rising interest for cell phones with inbuilt, high-quality cameras. Furthermore, low power utilization and compact feature of the CMOS image sensor and expanding utilization of it in the biometric applications is expected to raise the demand for such sensors in the market. The global image sensor market is developing at a quick pace. The usage of CMOS image sensors is found in the customer electronic devices and also in the automotive sector. Additionally, its 4K pixel innovation is supporting the development of the CMOS image sensor market in the surveillance and security sector. The image sensors are also used extensively in the industrial sector, especially in the robotics and drone sectors. The global CMOS & sCMOS image sensor market is divided on the basis of its specification, technology, application and wafer size & sensor size. Based on its technology, the market is sectioned into back-side illumination, FSI (Front side illumination), and others. On the basis of its specification, the market is bifurcated into spectrum, processing type, and array type. Based on its wafer size, the market is divided into 300mm, 200mm, and others. Again, on the basis of its sensor size, the market is classified into APS-H and APS-C, full frame, medium format, 4/3inch, and 1 inch and below. Lastly, on the basis of its application, the market is classified as consumer electronics, surveillance, automobile, medical and others. Some of the major players in the global CMOS & sCMOS Image Sensor market include companies like BAE Systems Inc., Canon Inc., Sony Corporation, Toshiba Corporation, SK Hynix Inc., Panasonic Corporation, Omni Vision Technologies Inc., Sharp Corporation, Samsung Electronics, ON Semiconductor Corporation among others.